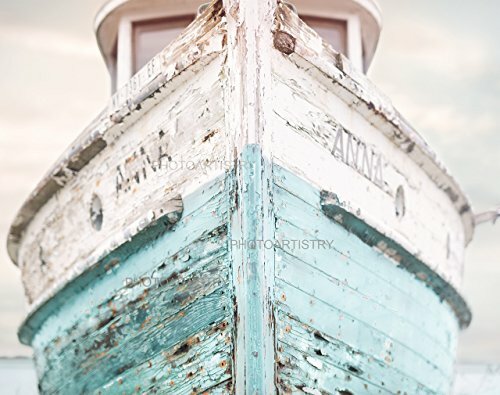 Stunning Wooden Ship Fine Art Print - Perfect addition to any Seaside Cottage or Home In Aqua and Creamy White Colors. You can almost hear the waves hitting the bow! Hand Signed 11"x14" Fine Art Print- would make a lovely gift for the nautical lover! Framing not included - fine art print fits any standard 11"x14" frame or 16"x20" frame with mat. Colors may vary slightly due to differences in monitors. Watermark will not appear on final prints. For other print options such as large canvas or wood plank prints - search for "Photo Artistry Ship"